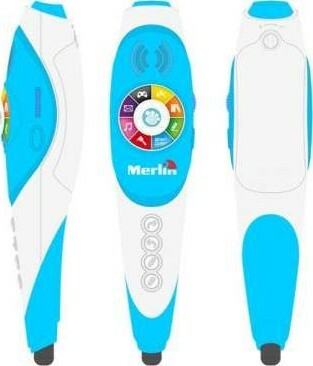 The Magic Pen from Merlin is a great tool to motivate your child and encourage learning while also being fun and interactive. The Magic Pen works on the concept of encouragement to maximize the learning potential of your child. 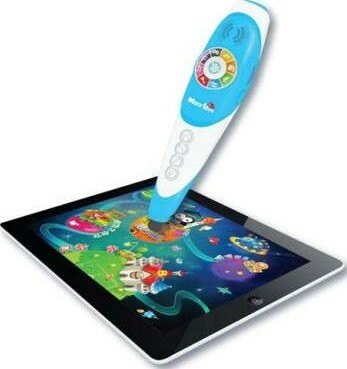 When your child will make a mistake the Magic Pen will vibrate and gently encourage the child to start again. The Magic Pen will also praise the child in areas that they are strong in for further improvement. There are many different modes in the Magic Pen and 6 different innovative sections that make learning fun. The Magic Pen is used with an app that can be downloaded from the app store. For the parents, there is the added benefit of a feature that lets parents manage and monitor their child’s usage time and progress all through the device itself. The Magic Pen can be used to change the brush size, color and different innovative modes. An added benefit is that everything that your child creates, from drawings to artwork, can be shared with family and friends through the Magic Pen app. Explore your child's inner artist and let the world share in your happiness. We offer express delivery to Dubai, Abu Dhabi, Al Ain, Sharjah, Ajman, Ras Al Khaimah, Fujairah, Umm Al Quwain, UAE for Merlin Magic Pen. We offer the best price for Merlin Magic Pen in Dubai, UAE. Buy now with the best price! 1) What do I need to use the Magic Pen? You need a tablet running iOS or Android to use the Magic Pen. 2) What application do I need to download for the Magic Pen? Kalala Smart Park is the application for both iOS and Android. 3) Do I need to pay for the application? No, the application is free. 4) Does the Magic Pen require battery? Yes, the needs two AA battery.